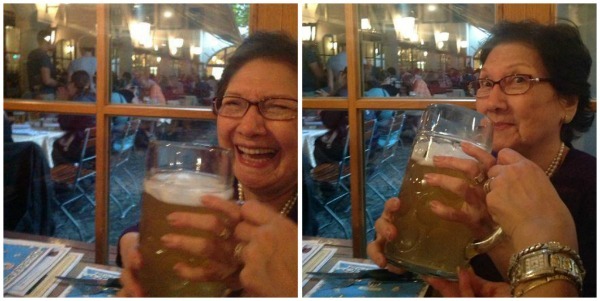 This is a photo of my grandma taken a few weeks ago in Germany enjoying a stein of beer. She's 78. Can you tell? Just like her, I attribute my youthfullness to my love of the pub culture. Anti-aging creams can only take you so far but your state of mind is definitely where you will find your own fountain of youth. Beer can be your best friend. It's a great way to get rid of the stress of a long tiring day and nothing quite compares to a conversation shared over several brewskies. A week never goes by without me and Dennis having several nightcaps to catch up with each other, we believe it's what keeps our bond strong and our relationship happy. Publiko is the perfect backdrop for these occasions. 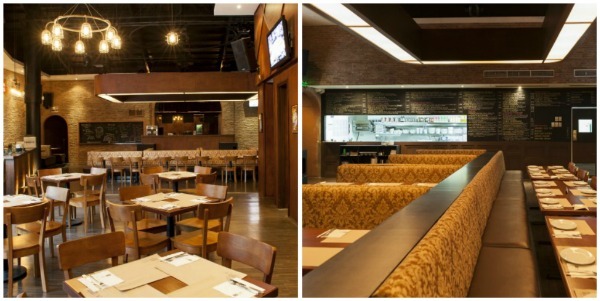 It's good vibes all the way from their traditional and cozy interiors that invite you to stay for hours to their choice of music (90s from Monday-Thursday) and hip hop on Fridays and Saturday. 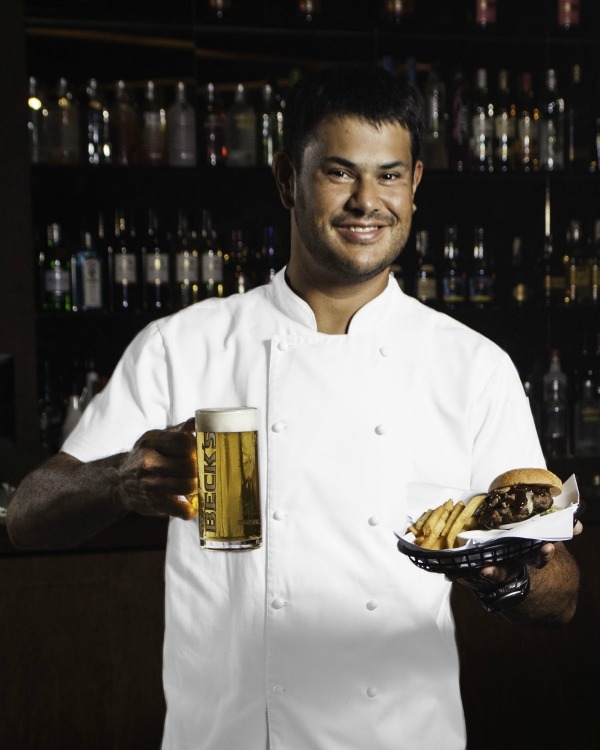 They also serve both local and imprted beers fresh from the tap. 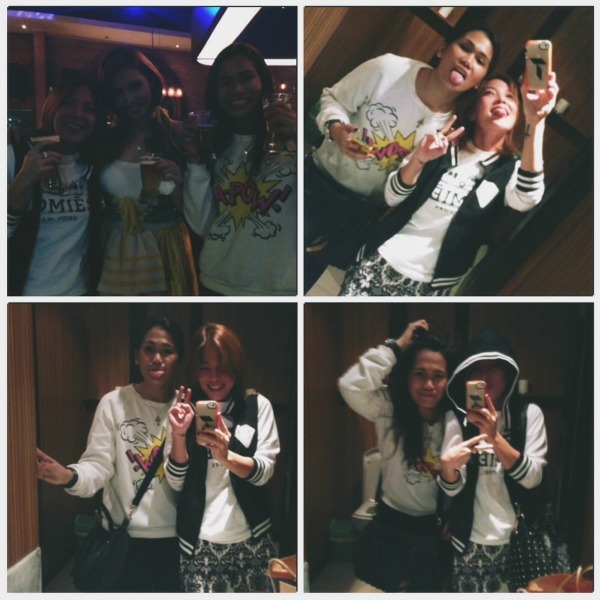 Only P150 for a pint of Stella/Becks. Def right up my alley! 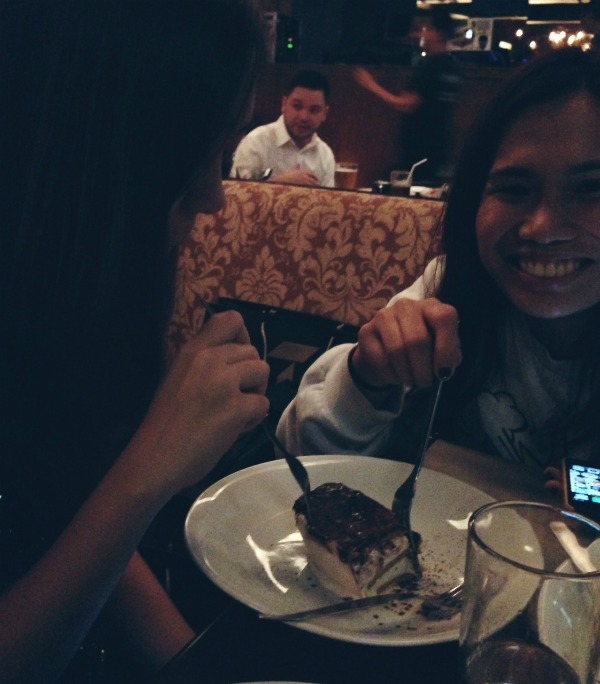 Their food is quite commendable too. I got to sample some of it during the Publiko Eat + Drink event last Thursday and to tell you the truth, I was blown away. 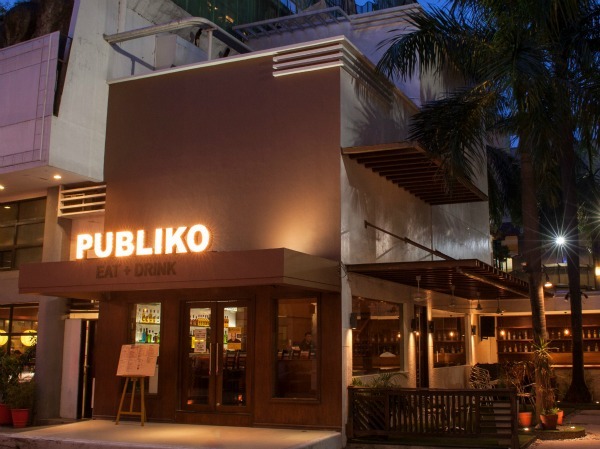 It wasn't your typical bar chow, Publiko serves really, really good food that compares to some of the finest restos in the Metro making them worthy of their Gastropub label. No bias. 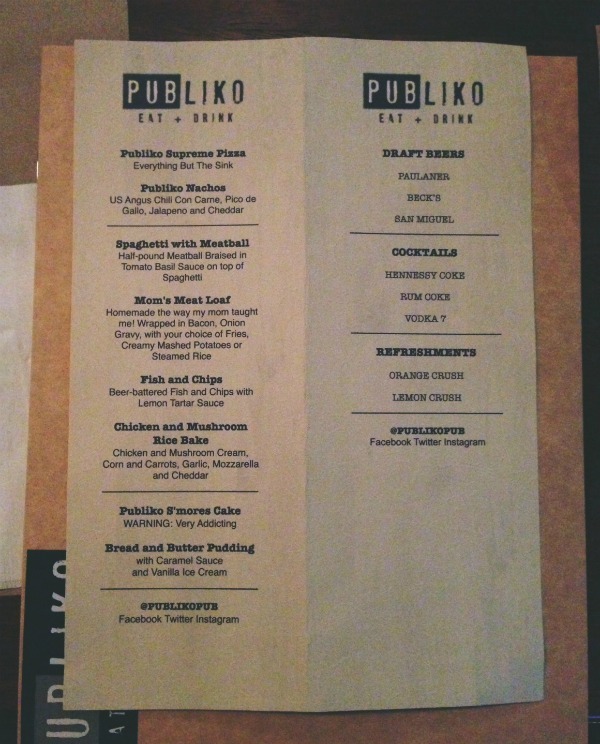 The spceial menu for the night prepared by Publiko's Chef Carlo Miguel. 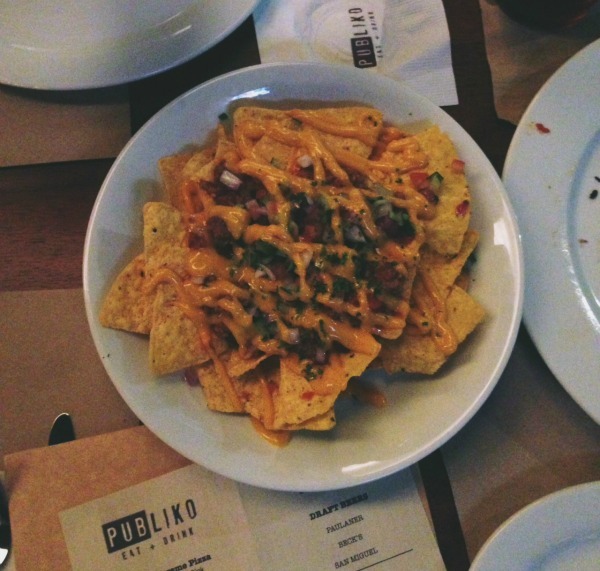 The nachos were out of this world with a flavor unique to Publiko. It had generous servings of angus beef, jalapenos, cheddar cheese and pico de gallo. The chips alone were delicious. For days when you feel like detoxing and having something light. 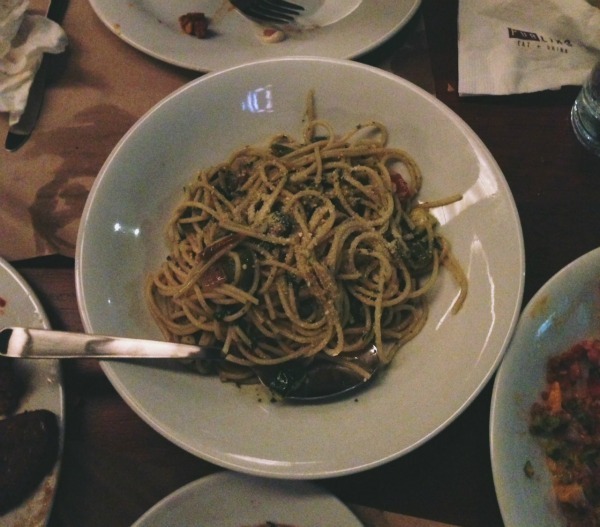 Publiko's Linguine Primavera is a pesto based pasta delight with chunks of zucchini, peppers, onions, roast tomatoes, olives, garlic and parmesan. Always leave room for their S'mores cake. Now is not the time to act demure and decide to share. You will probably just end up fighting over it. BEST DESSERT EVER. It's like a perfect marriage between a smore and a refrigerator cake. Not too sweet, just right. Aside from the dishes I mentioned above, there's lots of other promising dishes to try at Publiko from hotdogs, burgers, pizza to rice meals. Publiko isn't a dark dingy bar to drown your sorrows in, it's a friendly neighborhood pub that encourages you to create new unforgettable memories with friends and family over great food and fresh beer. Located a few minutes away from my house, Publiko Eat + Drink is defnitely a place you will find me in often. 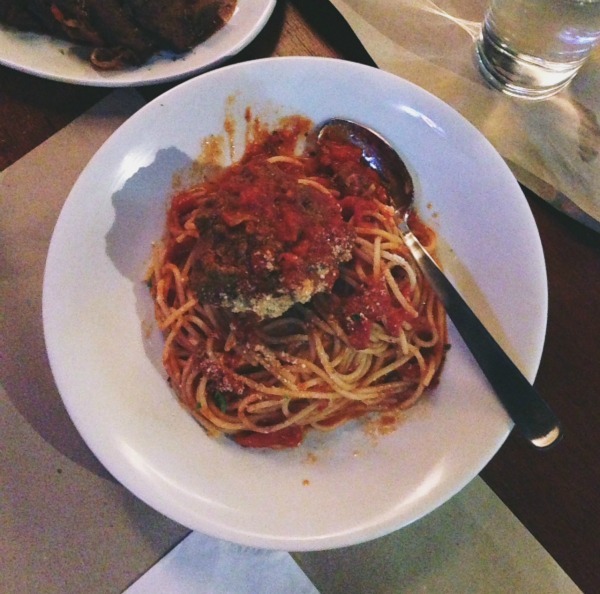 Visit Publiko at G/F Eastwood City Walk 1.
nice post! this looks like a pretty yummy place to eat! too bad i wasn't able to make it. :( looks yummy!